Pro Sports Analysis are now offering a two level package of bespoke analysis which will help all clubs and assist those with restricted budgets. If your game is filmed all you need to do is send us the game footage and we will do the rest. 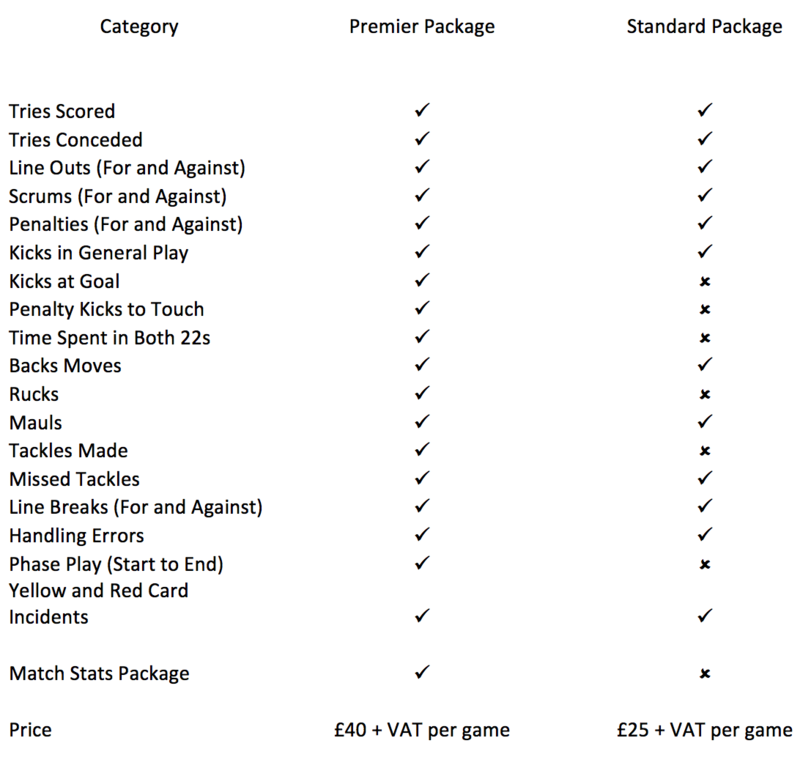 The features in the two packages are shown below and can be tailored a little to suit individual clubs requirements. We are very happy to do a free demo for any clubs and as an introductory offer for clubs we are happy to offer 10 games for the price of 9 if you quote reference PSA/NCA when contacting us. This offer is not solely for NCA Clubs so if you refer a club to us we will pay a 20% referral fee if mentioned by the club. The footage is then put into an interactive website where players and coaching staff can see the breakdown via a mobile phone app. As part of your demo we will give you a free account for this. For further information please contact Scott Elliott either by email scott@prosportsanalysis.com or on 07825 185633.